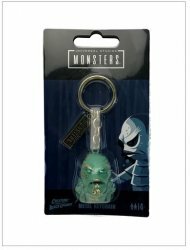 MyMovieMonsters.com > Other Ghoulectibles > Universal Monsters - Creature From The Black Lagoon Keychain - JUST IN! Universal Monsters - Creature From The Black Lagoon Head Sculpted Keychain. Creature's head is approximately 1 1/2 inch tall by 1 1/4 inch wide, with chain and key ring. Comes packaged on bubble card as shown. 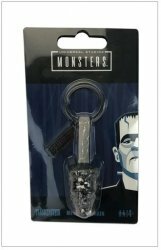 Also want the Frankenstein Monster key chain? Use the convenient Buy Both button below.